Home » News » All news » Bell Tower in Idiciu: small intervention – great effect! 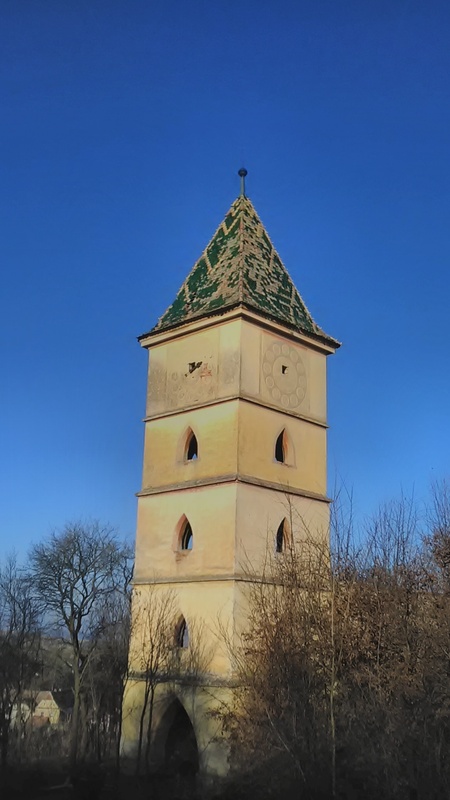 The Fortified Churches Foundation has repaired the bell tower of the Protestant church in Idiciu with an emergency measure as part of the roof programme. 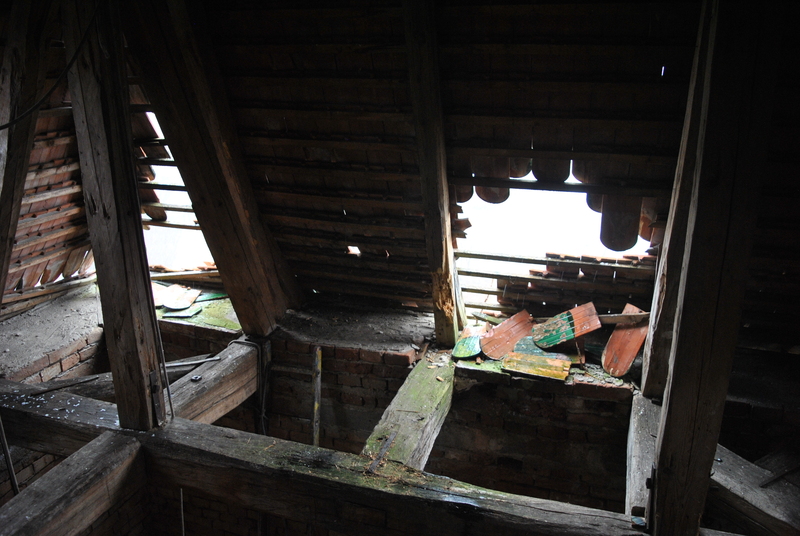 This was preceded in spring by the collapsing of the church roof. The first works organized by the Sighișoara district were able to provisionally secure the ruin. 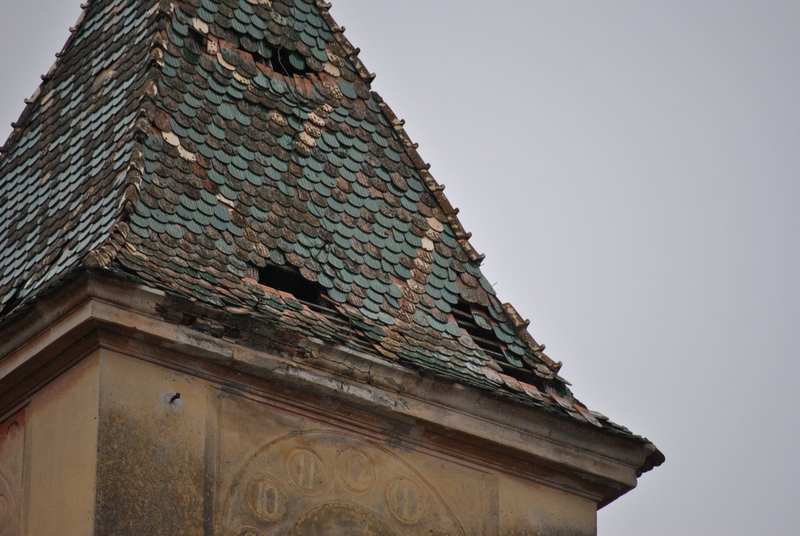 Nevertheless, there was an acute need for action on the roof of the tower, which was built in 1927. The Fortified Churches Foundation has therefore decided to intervene. Great support ca me from the “Monumenta Transsylvaniae Workshop Felldorf “ATELIER MONUMENTA TRANSSYLVANIAE WERKSTATT FILITELNIC / FELLDORF (rum. Monumenta Transsylvaniae Atelier Filitelnic) of th e ARCUS Association, which also conducted preliminary investigations and prepared a short report. 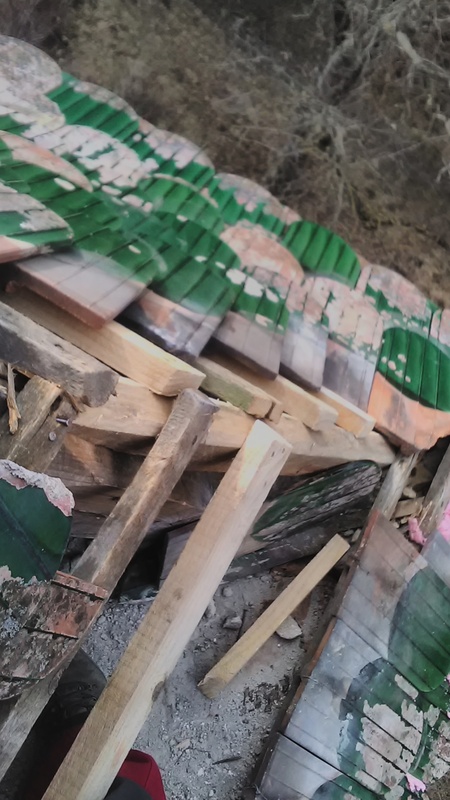 In mid-March the repairs on the roof of the bell tower, which is difficult to access, were completed – a big thank you to all the contributors and donors! The work was financed by funds from the German Support Association of the Fortified Churches Foundation. We are especially grateful for the collective donation of a travel group of the Gustav-Adolf-Werk of the Evangelical Church Berlin-Brandenburg-Silesian Upper Lusatia, which was made in January 2017, as well as a private donor who regularly supports projects to preserve the fortified churches. For these and other fortified churches, the Fortified Churches Foundation is pleased to welcome individuals, committed groups or partner organizations who are willing to assume responsibility for the maintenance of the buildings. If you are interested, please contact our foundation office at any time.